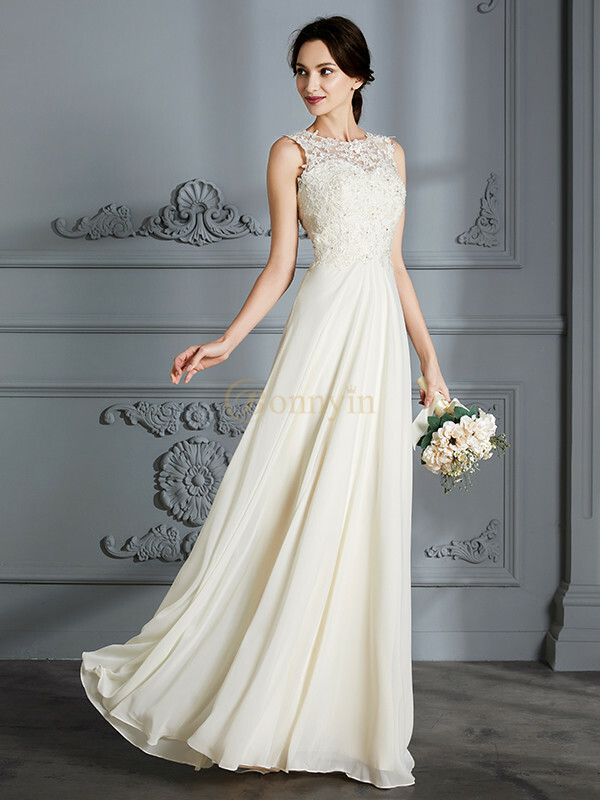 Cheap Ivory Chiffon Scoop A-Line/Princess Floor-Length Wedding Dresses in Wedding Dresses Brisbane - Wedding Dresses - Wedding Party Dresses at Bonnyin.com.au online Australia with high quality and affordable price. This dress arrived on time for my wedding, and I'm perfect, I was more than satisfied with this dress and I look forward to buying here and recommending to friends. I had so many compliments on the dress and no one could believe in what I paid either.